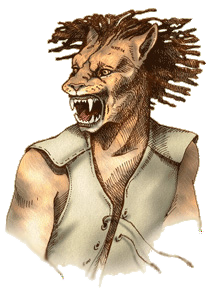 The Khajiit are a beast-race, more specifically they resemble human-sized anthromorphic cats. In Daggerfall, there is a Jokes book in which a mildly sexual pun is made about having to separate the (male) sailors in the Khajiiti Navy with a hammer and set of tongs. Notably, some Reddit users on an Elder Scrolls Lore subreddit discuss examples of the Khajiit being characterized as sexually fluid and uninhibited in various ways in the Elder Scrolls games series. “How do separate [sic] sailors in the Khajiiti navy? After exhaustive searching, we could find no more information on this specific content. If you have any images, videos, or further information, please contact us. This entry was posted in 1990s, Mentions, Mentions (implicit) on May 9, 2016 by Adrienne Shaw.